ASHEVILLE, NC – According to the website www.grandslamasheville.com, tennis sensation Andre Agassi will be playing an exhibition match at the Asheville Civic Center on August 28th. The original exhibition was to have taken place on August 6th and feature Marat Safin and Nivak Djokovic. Djokovic pulled out of the match and as a result the tournament was forced to move to later date with Agassi stepping in to play Safin. From 1987 until his retirement in 2006, Agassi amassed 60 singles career titles, and he won a gold medal at the 1996 Summer Olympics in Atlanta. He spent a total of 101 weeks at #1, including 52 consecutive weeks from September 1999 through September 2000. He won eight Grand Slam titles, becoming – in 1999 – only the fifth male player to win all four majors: Wimbledon (1992), US Open (1994), Australian Open (1995) and the French Open (1999). (Roger Federer is the only male player to join that roster since Agassi). For more information visit, www.grandslamasheville.com. ASHEVILLE, NC – Two of the world’s top tennis players are set to do battle on Thursday, August 6, at the Asheville Civic Center. 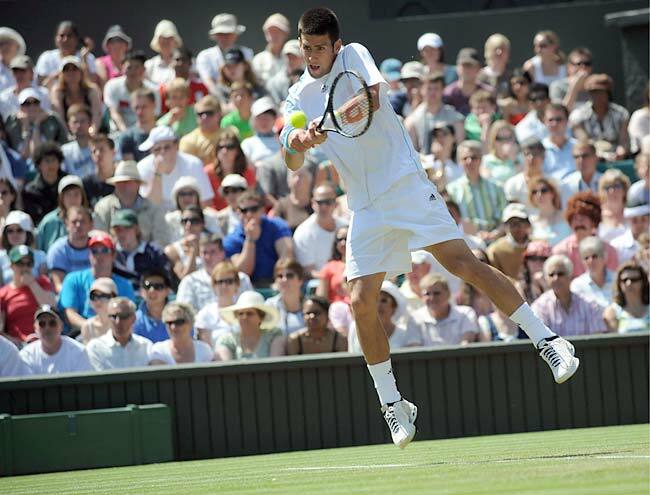 Grand Slam Asheville will bring together world-ranked #4 and 2008 Australian Open Champion Novak Djokovic and former world-ranked #1 and two-time Grand Slam Champion Marat Safin for a head-to-head, best-of-three-sets match. Grand Slam Asheville will also feature local tennis talent. Asheville’s very own Maya Blue Stauffer-MacDowell will go up against a player currently ranked in the top 100 in the Women’s Tennis Association. The 16 year-old Stauffer-MacDowell is a rising senior at T.C. Roberson High School and one of the top junior players in the Southeast. Tickets go on sale July 6 through Ticketmaster and at the Civic Center box office. A portion of proceeds will benefit Mission Children’s Hospital. Special VIP ticket packages, including VIP courtside seating and admission to the VIP reception and silent auction hosted by the Grand Bohemian Hotel Asheville, are available now. For information on the VIP reception, contact Alicia Kramer at (404) 433-1088. ASHEVILLE, NC – Bonnie Raitt will be coming to the Asheville Civic Center on Tuesday, March 17th. More than just a best-selling artist, respected guitarist, expressive singer, and accomplished songwriter, Bonnie Raitt has become an institution in American music. The recent release of Souls Alike is her 18th album. Tickets can be purchased at the Civic Center box office or by visiting www.ticketmaster.com. You are currently browsing the archives for the civic center category.